Dragons are more than just powerful fictional creatures that fly the fantasy skies. They are also some of the most regal and sometimes, the most graceful. With serpentine forms worthy of homage, it makes sense that we would honor dragons with their very own section of dragon themed jewelry! These fine examples of dragon jewelry come in a wide assortment of different forms, coming as pendants, necklaces, rings, bracelets, earrings, and more, all of them honoring the great form of a dragon in some way! We offer dragon rings that depict everything from dragon eyes to dragon heads. Our dragon pendants depict everything from dragons in flight to dragon heads to dragon themed crosses and dragon symbols. There is no end to the awesome amount of dragon accessories you can find here. 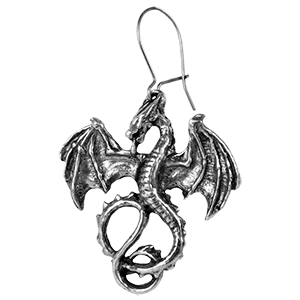 Available for men and women, our dragon jewelry is the perfect way to accent your appearance with fantasy style, as well as a great gift to give. Heck, we even offer dragon cufflinks, so that you gentleman out there can even feature draconic style when you dress up in button-ups and suit jackets! If you are looking for a piece of fantasy jewelry that is fearsome and fantastic, then you are looking in the right place. Accessorize yourself with the beauty and might of dragons when you wear something from our dragon bracelets and anklets category. Shop here for dragon wing bracelets, Celtic dragon wrist bands, dragon bangle bracelets, dragon wrist cuff bracelets, and more. Our dragon anklets are a delicate and subtle way to wear your favorite fantasy beast. We carry these unique dragon jewelry pieces in a variety of styles as well as materials, from high quality pewter to white bronze and sterling silver. 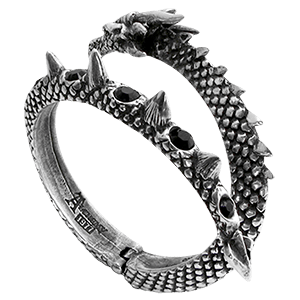 For a casual way to add dragon style to your outfit, no matter what else you are wearing, check out our selection of dragon-themed wristwear here. 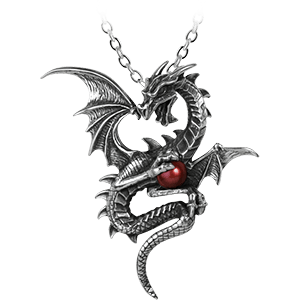 Bedeck yourself with the beauty of dragons with a dragon necklace from our selection here. Perfect for adding a little, or a lot, of fantasy charm to the looks of both men and women, you are sure to find a dragon necklace that suits your style here. Check out Celtic dragon necklaces, jeweled dragon necklaces, double dragon necklaces, dragon chokers, and more, as well as dragon-styled dagger necklaces, dragon claw necklaces, and dragon eye accessories here. 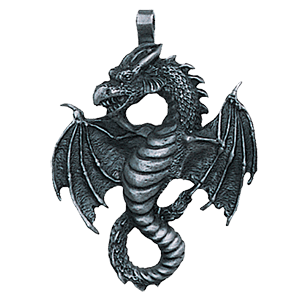 Our dragon necklaces are made of high quality materials, like sterling silver, fine pewter, and white bronze. They each feature unique designs that stand out from your typical accessories, making them fantastic additions to any outfit, casual or formal. 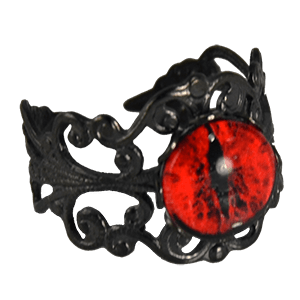 If you have ever wanted to have the power of dragons literally at your hand, then you have got to check out our selection of dragon rings here. These dragon jewelry pieces are perfect for adding a subtle touch of fantasy fashion to any look. Our fantasy dragon rings come in a variety of styles, some shaped like miniature dragons curling around your fingers and others decorating knotwork bands. Shop dragon signet rings, Celtic dragon rings, jeweled dragon rings, sterling silver dragon rings, dragon spinner rings, and much more, for both men and women, here in this category. Let the might of dragons embellish every aspect of your appearance. Shop our dragon hair accessories for statement pieces and subtle accents that can help incorporate your love for dragons into hairstyles long and short. Check out dragon headbands, dragon hair bows, dragon barrettes, and more in this category. Shop our dragon hair ties and dragon ponytail holders for an understated and practical approach, or try out a bolder dragon headpiece. 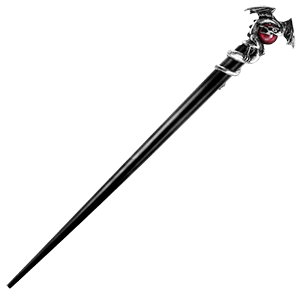 Our selection of dragon hair accessories varies in its types and styles of hair items, but all feature a decidedly dragon theme. If you simply cannot get enough of dragon style, then the fantasy accessories in this category simply are must-haves.